Excerpt of article originally published under the title "The Protests in Iran Aren't Over." 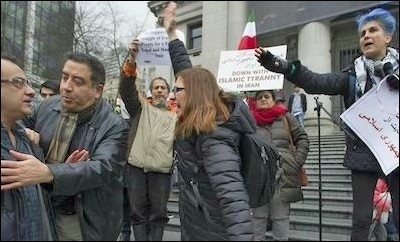 Tensions between rival Iranian Canadian groups boil over at a January 6 protest outside the outside the Vancouver Art Gallery. [Those who participated in recent protests in Iran] are still being arrested, with reports of some activists dying while in custody in Tehran's infamous Evin Prison. At one weekend meeting of about 100 Iranian-Canadians, hosted by left-leaning Iranians, one member of the audience asked the moderator if there was a possibility the left in Iran would contemplate a coalition with Iran's right-wing, given their common goal of replacing the Ayatollah's regime with a liberal democracy. Iranian Canadian leader are largely divided into ideological camps. "No," came the instant response from the organizers. While most cheered, others rolled their eyes in disbelief. One speaker who had earlier begged for "humility" slumped back in her chair. A physician in the audience asked the moderator: "If President Trump offered free Internet to the people of Iran, will you accept it?" The answer, once again was a vociferous "no," suggesting the ideological ossification of the Iranian left is as rigid as its Islamist foes. Imam Mohammad Tawhidi: "These Iranian protests are an essential turning point in the history of Islam." 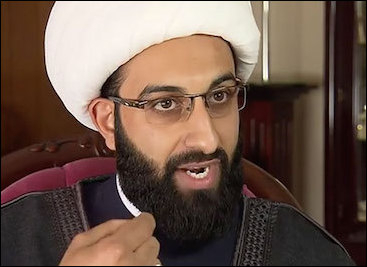 Tawhidi, president of the Islamic Association of South Australia, took a historical view of the current protests. "These Iranian protests are an essential turning point in the history of Islam and Muslims since the era of Prophet Mohammad," he said. "This is the first national movement led by an Islamic majority, without the interference of Islamic clerics or authorities. In fact, it is a movement against Islamic clerics, Mullahs and religious authorities who have been falsely claiming to be the representatives of God and religion. This is the peak of human consciousness. There shall be a new generation that disbelieves in the supposed divine authority of humans, and which shall value the gift of freedom." Two generations of Iranians have suffered under Islamic Sharia. They don't have to abandon their Muslim identity to be free and rid of their hijabs. The diaspora better get it together. I would've hoped for a protest outside the Golden Globes' latest charade on women's rights, but no Iranian Americans dared to show up. Perhaps an open letter of protest to Oprah Winfrey would help.